We all know how music transforms and rejuvenate a human mind. Many people would agree that they could not last a day without listening to their own choice of music that can be played through their gadgets. Consumers wanted to enjoy the power of music with no limits. Headphones play a vital role in enjoying music at its best. Every listeners and lover of music want to grab the best USB headsets for them. The headphones have become our everyday need these days, and really reflect our daily life’s style. The demand for noise reduction headphones has increased rapidly in the last few years. Such noise reduction technology is mainly developed for military pilots and airplane to minimize the noise of engine and rotor blades. So, it helps them to hear properly. With the advancement in technology and innovation, there are lots of headphone companies are available on the internet but it is very difficult to choose best of them. Most of the people are looking for high-quality headphones which are light in weight, strong and durable. Now your search for best USB headset is over, you can read top reviews found here on this website. Jabra Evolve 40 MS Stereo USB Headset: Jabra Evolve 40 MS is great entry level headset for music lovers. This USB headset is certified by Microsoft Lync with latest noise cancellation technology. Jabra Evolve 40 MS is powered by Jabra intelligent call transfer feature which transfers your business Skype call and Lync PC into your smartphone. This headphone equipped with a busy indicator which indicates that user is busy. Plantronics Savi W440-M USB headset: Plantronics Savi W440-M is one of the best wireless headsets with unique design in its price range. This USB headset is equipped with great noise cancellation microphone and wideband audio. With such headset, one could also listen to their own music when they are outside their office or schools. Another main benefit of this headset is, its range is around 300 feet from your laptop or mobile phone. Jabra Evolve 65 MS USB headset: This is another USB headset giant from Jabra which is certified by Microsoft Lync. Jabra Evolve 65 is powered by latest technology such as Bluetooth and NFC. Basically, this device is designed for office people who want to rid of loud noise in the office. The busy light indicator is also installed in this USB headset. Plantronics Voyager Focus UC Bluetooth Headset: This Plantronics Voyager Focus UC B825 USB headset is basically designed for Windows and Apple Mac users. One can also this headset on their mobile phone for voice call and for listening music. This device is also equipped with both active and passive noise cancellation technology, mute controls and many others. Jabra Evolve 75 MS: Jabra evolve 75 MS is one of the best USB headsets with world-class HD voice speaker for clear calls and music. Mainly designed for office person working on Skype, Chrome box, and others. It also equipped with the listen-in feature, you just have to press the right ear cup to listen to your near person without the need to take off the headphones. 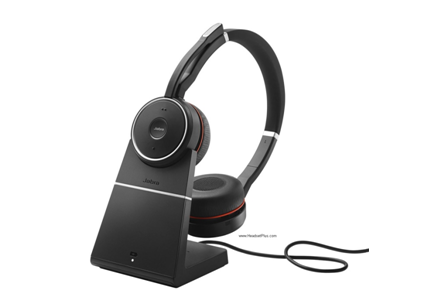 Jabra motion office wireless headset: Jabra motion office is Bluetooth headset for all your Microsoft Skype communication over the network. One can also use this device from a smartphone in the day to day life, not only this it is designed to connect all phones with one headset. This USB headset is powered by Motion sensor technology; it can work as per your gestures or moves. Moreover, you can avail these gadgets at very affordable from Headset plus by clicking here http://headsetplus.com/category16/index.html. They also provide a 30 days money back guarantee in the case you are not satisfied with the quality of the products. All these products are made with high-quality raw materials which are strong and durable. These products are not reused, refurbished or duplicate. In case, if you have any query contact to customer support team. The team will try to solve your problem with best solutions. Next Story → Who Are You Trying to Find?